I grew up in a home where formality ruled the day, as much as it could with five children. My mother insisted on white gloves to church, backs straight as a ramrods, and our patent leather Mary Jane’s buffed to a point that I swear I could see my reflection. For most of my childhood I believed that “please” and “thank you” always began any sentence structure. There were dinner parties, where roasted pheasant sat underneath sterling silver chafing dishes paired with fragrant bowls of wild rice, and poached asparagus. The main course often made possible after a successful day of bird hunting courtesy of my father, his “cronies” and a group of well trained bird dogs. Before we could serve ourselves, we would line-up like the kids from the Sound of Music and wait for the guests to be served before we were allowed to fill our plates. I would like to mention that we did not have to “sing for our supper.” Thankfully. For most of my formative years, I was under the impression that we were somehow related to Emily Post, because my mother would always threaten us with the words “If you don’t behave, I’m going to have to write to Emily Post, and then she’ll be coming for a visit.” What? Was Emily the Santa Claus of good manners? Would she show up with a perfectly coiffed “Pillbox bob” a la Jacqueline Kennedy, her short boxy jacket crisply pressed paired with a pencil skirt hemmed to fall just below the knee, just to lecture me on a breach of etiquette? Or worse yet, take away my television privileges, as my mother would often threatened us. The thought of never watching the Partridge Family was enough to ensure that I lived my childhood days under the guise of perfect behavior. I left the proverbial nest at eighteen to attend an institution of higher learning, armed with an arsenal of etiquette “do’s” and “donts” and knowledge on how to set the perfect table. It didn’t help me get a job after college, but it did help me on the job when I worked in Washington (in the political arena), and attended lavishly appointed State dinners, and parties hosted at some of the more prestigious addresses in Georgetown. Yes, I know the difference between the seafood and salad fork, and even know that you do not drink out of finger bowls, (as one of my dates once did). 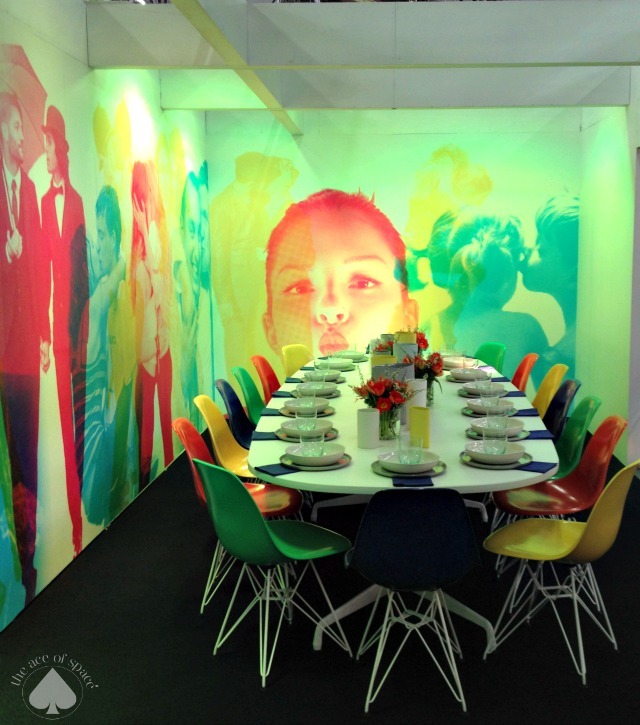 So when I was in NYC in April, and saw the stunning table settings for DIFFA , it brought me back to a time when having the perfectly set table was becoming for a person of good breeding. 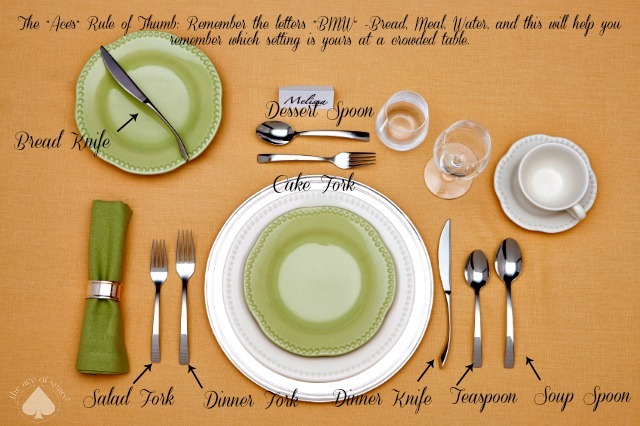 While, it is no longer the harbinger of proper decorum, I do think that putting effort and thought into the table setting will help create an evening to remember for family and friends. 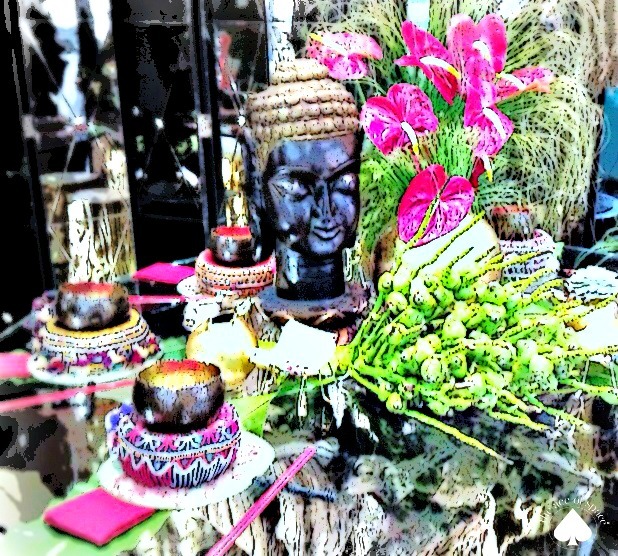 Plus, it’s just plan fun to think “outside the box” and create a tablescape that is memorable and will show your guests that they are worth the extra effort. 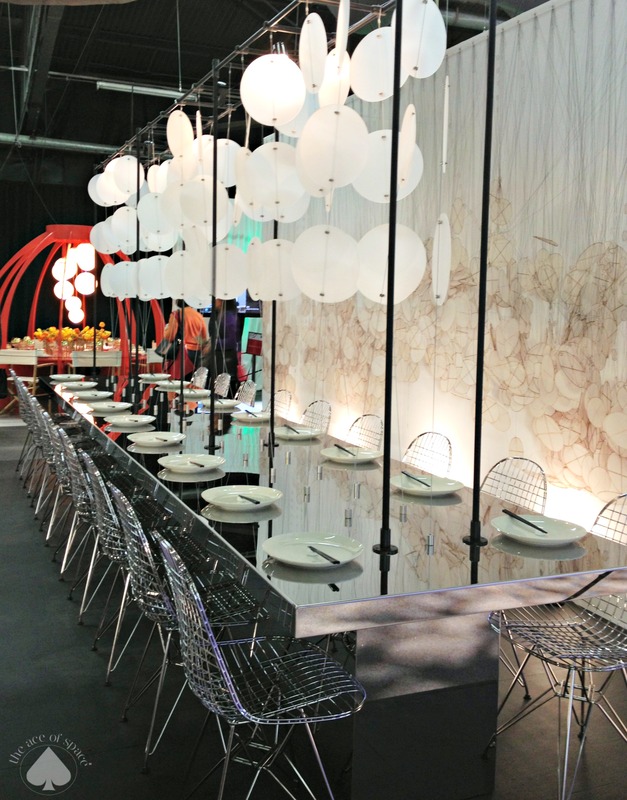 I wanted to highlight some of my personal favorites from DIFFA (although they were all worthy of mention), and hopefully you will be inspired to set the perfect table…P.S. 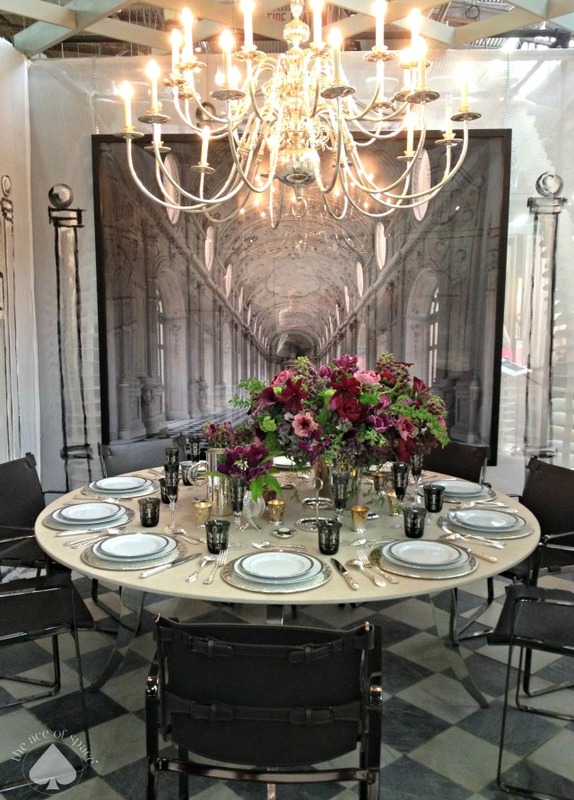 My apologies to Margaret Russell, Editor-in-Chief of Architectural Digest, of whom I mistook for Mary McDonald. In my defense they do look alike after a few glasses of Champagne…. 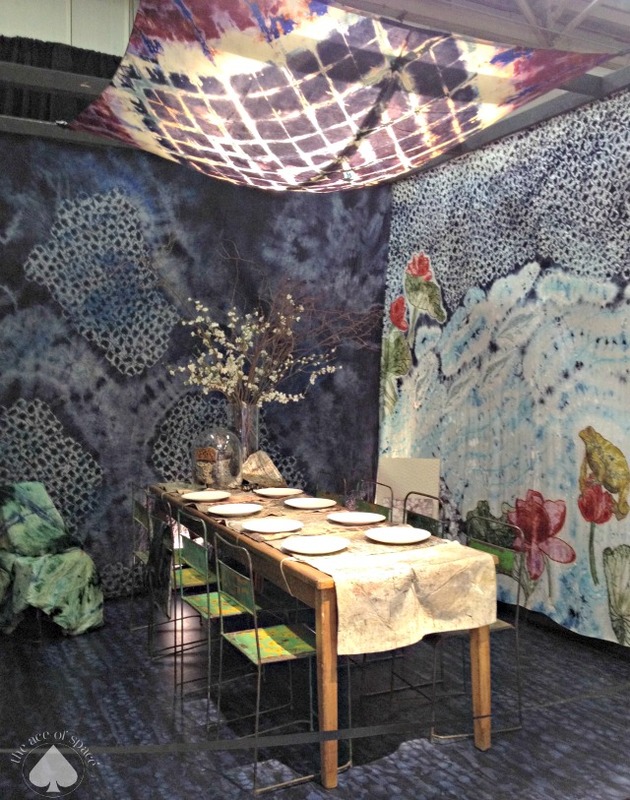 This dreamscape with watercolour fabric was designed by Kara Mann as a tribute to Maya Romanoff. 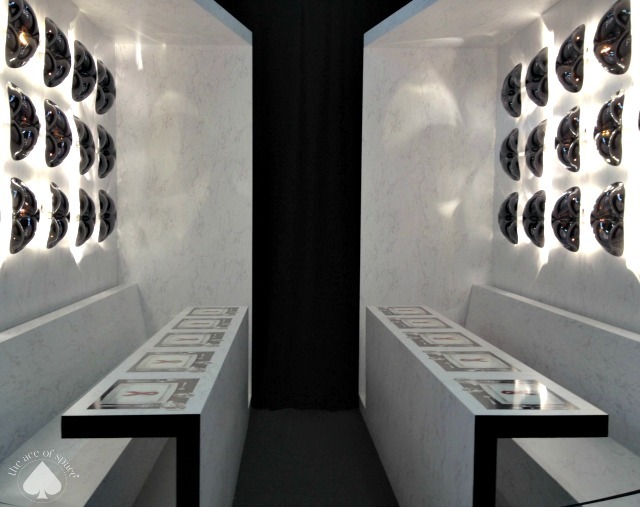 3M Architectural Market Table by Rottet Studio. 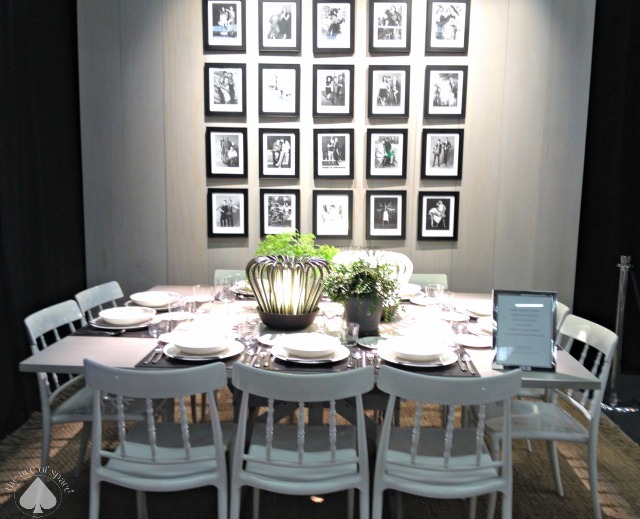 The gauzy fabric surrounding this table was imprinted with architectural details…by none other than Phillip Gorrivan. 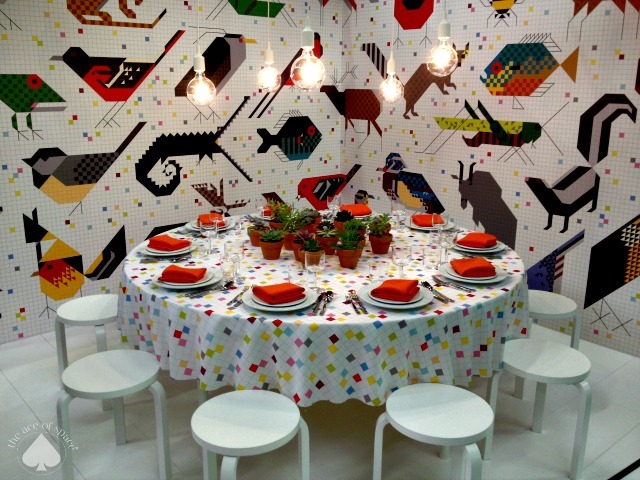 This fun room was designed by the Pratt Institute…how sweet are the whimsical mosaic tiles? 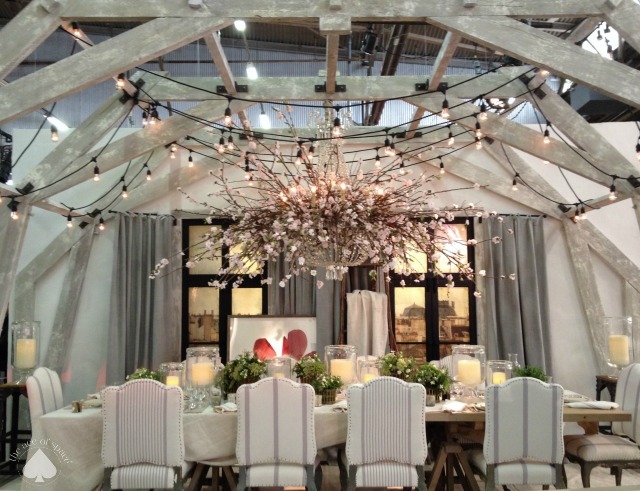 A DIFFA tabletop in watercolour….